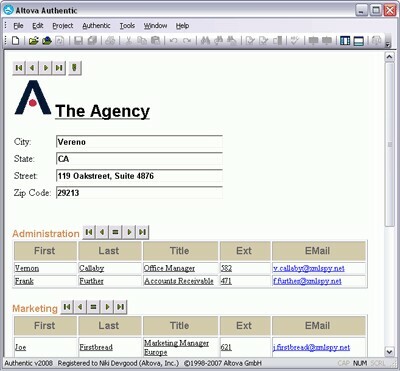 Altova Authentic Enterprise is an advanced WYSIWYG content editor that allows users to view and edit data in XML documents and relational databases without being exposed to the underlying technology. They simply fill in e-Forms and their content or query is instantly processed. Available in 32-bit and 64-bit versions, Authentic is ideally suited as the user interface element of XML-based document frameworks and SQL DB-oriented applications. Altova DiffDog 2017 is the powerful diff tool for files, folders, DBs, and XML.